Breckenridge's Grand Lodge on Peak 7! Whether it's a warm weather getaway, a ski vacation or an urban holiday experience, timeshare vacations offer something for everyone. Even if you wait until the last minute, you may still find rentals available during peak seasons in desirable locations. Companies like RedWeek and ResorTime, Interval International and RCI have hundreds of resorts in multiple countries available to fill all your vacation needs. Oftentimes, a simple click will help you find the vacation you're looking for. Many companies, such as those mentioned above, have the latest technology available on their websites to make it easy to make the exchange you want, when you want it. The sites feature beautiful, color visuals of resorts and locations that are frequently updated. Just scroll through to find the perfect resort, with the perfect amenities in the perfect location. Timeshare owners often also have access to an internal exchange within a timeshare group. Membership at one resort gives owners the freedom to trade for time at other resorts in the resort family. Breckenridge - Not Just for Skiing! 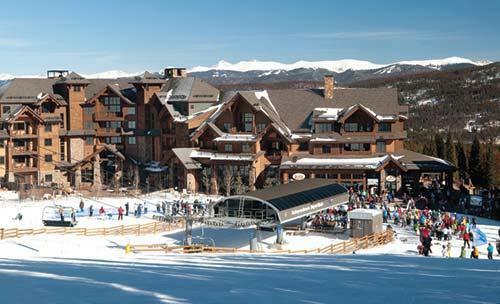 Skiers have plenty of options, particularly in Breckenridge, Colorado. Known as one of the premiere ski destinations, its slopes and surrounding scenery provide unsurpassed beauty. Though most think first of Breckenridge for skiing and winter sports, it also offers sunny year-round weather for other activities such as hiking, mountain biking, horseback riding and fishing. 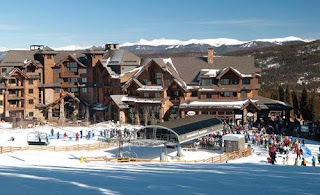 Book one of the Breckenridge Grand Vacations Resorts for the ultimate Breckenridge experience. Owners can find many good resort deals—mostly all-inclusive, in the Caribbean. Gorgeous beaches, great weather and many outdoor activities are available in the Caribbean islands. You may have a hard time deciding on just one of the hundreds of islands in the Caribbean. Popular resort areas include Aruba, Jamaica, Dominican Republic, Barbados, Saint Lucia and Belize. Your private beach cabana and a tropical drink await you at Occidental Vacation Clubs in Aruba and the Dominican Republic. Owning a timeshare doesn’t mean you have to stick with beaches and ski resorts. Sometimes you may want to get some culture - theater, museums, galleries, famous restaurants and shopping (it's part of culture isn't it?). Marriott, Hilton and Westin all have timeshares available in New York City. Many are located in Midtown and close to all the action. We just saw a great price for the holidays at West 57th by Hilton Club offering your own private retreat in the heart of Manhattan.